AC/DC is probably the most successful Australian band ever. And though they never had a big hit single in the US, their albums were very successful and they have always been a strong concert draw. 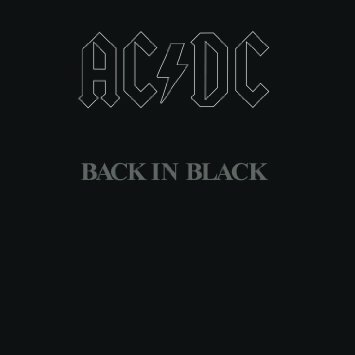 Back In Black is probably their most successful album. AC/DC begins with brothers Malcolm and Angus Young. They were born is Scotland but their family moved to Sydney, Australia in 1963. Older brother George Young was in The Easybeats who scored a hit in 1966 with Friday On My Mind. So Malcolm and Angus decided to form AC/DC. Things didn't take off until Bon Scott became lead singer in 1974. They had success in Australia with their first two albums. Then they signed with Atlantic Records. Atlantic released a comp of the first two albums as High Voltage. They had success with the 1976 album Dirty Deeds Done Cheap. But things really took off when they started working with producer Robert "Mutt" Lange. Lange gave them a more polished and commercial sound. And the increased sales of the 1979 album Highway To Hell reflected that. It was certified 7XPlatinum. They were recording Back In Black when Scott died after a night of drinking. They considered disbanding but Scott's parents convinced them to continue. Brian Johnson was brought in as the new lead singer after auditioning several others. Johnson was leader of the British band Geordie and Scott was aware of him. He turned out to be the right guy and Back In Black was their most successful album yet. It was certified 2XDiamond. From there AC/DC started to fade and when they left Atlantic for Epic in 1988, albums sales were down. They did make a big comeback with the 1990 album The Razor's Edge. The band is still around even after Malcolm Young's retirement. But I guess they are a nostalgia act at this point. There is no single CD AC/DC comp. 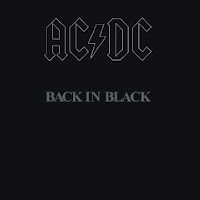 But Back In Black is available as a budget CD. Here's the video for Back In Black by AC/DC. When I was growing up a lot people like their music. I liked "Dirty Deeds Done Dirt Cheap". One question for you Frank. I know when an album goes gold its one million sold. What does Platinum and Diamond mean in terms of sales? Many thanks Frank for the info and blog. Frank, thanks for that information. Now I understand the record sales figures a lot better.